I recently finished reading Butterick’s Practical Typography, a short web book by Matthew Butterick. It is filled with many practical rules and tips for producing professional-quality typography with common tools. The book starts off with a short chapter called Typography in ten minutes which offers some simple rules to fix the most common typographic violations (it’s a great place to start). I’ve made several minor design changes on this site over the past few months, primarily focused on improving the typography and visual layout. Butterick’s book showed me a few other areas where I could improve. After reducing the size of the header tags and making some of the typographic elements on the page more subtle, I think it is getting closer to the clean and clear look I’m after. There does not need to be such extreme contrast in the elements on the page, especially since it should be primarily about the words. 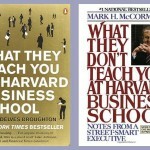 Many books get re-released with new covers when their movie counter parts hit the theaters. Here’s look at several iconic covers side-by-side with their newer versions. 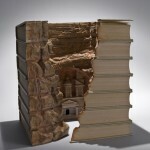 Incredible Carved Book Landscape Sculptures by Guy Laramee. 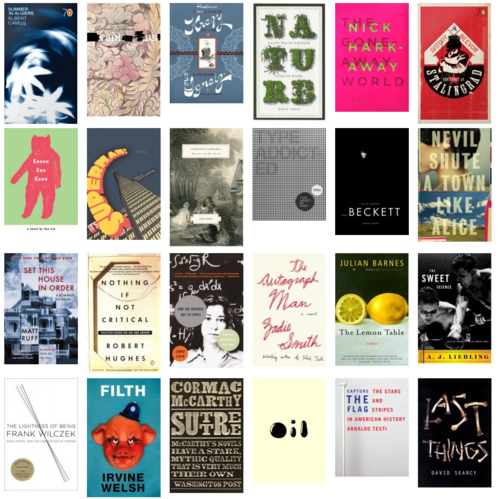 A random assortment of book covers from the Book Cover Archive never fails to inspire. The act of reading books is alive and well. Radio didn’t kill it. Television didn’t kill it. The Internet didn’t Kill it. Remember the good old days when everyone read really good books, like, maybe in the post-war years when everyone appreciated a good use of the semi-colon? Everyone’s favorite book was by Faulkner or Woolf or Roth. We were a civilized civilization. This was before the Internet and cable television, and so people had these, like, wholly different desires and attention spans. They just craved, craved, craved the erudition and cultivation of our literary kings and queens. That time wasn’t in some bygone era. That time is now. Grab a book and join the fun! 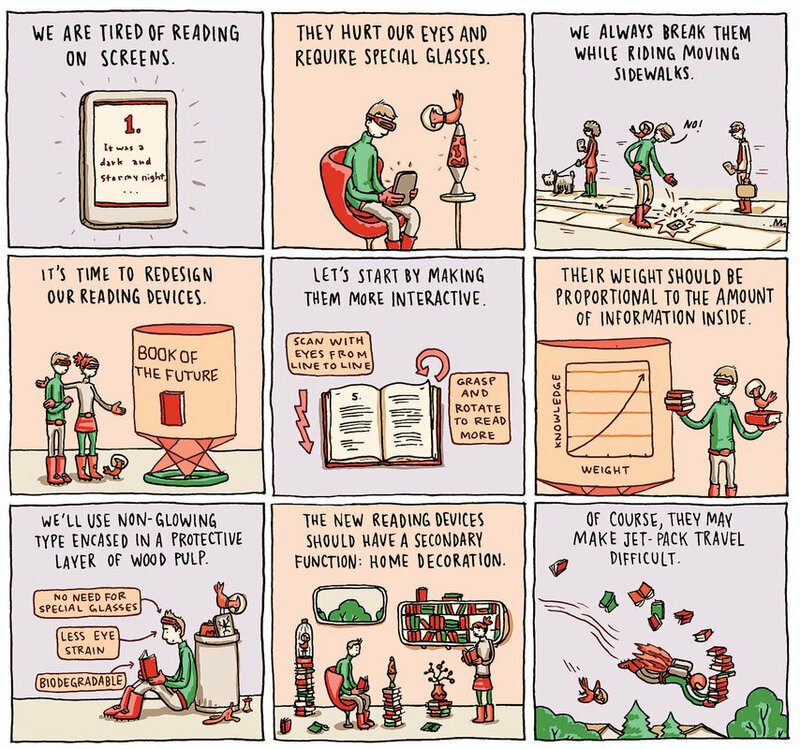 This isn’t the book of the future, but the cartoon is still imaginative. Jet-pack friendly reading material is important. Maybe books will go here, and we’ll have to deal the distracted flying issues. In the ongoing effort to warn an unprepared world of the rising danger from zombie attacks, one vulnerable group has been left out: small children. 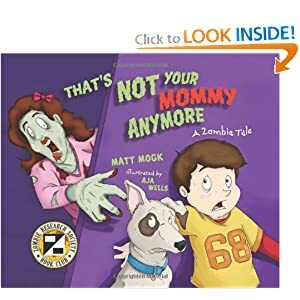 That’s Not Your Mommy Anymore is an inviting and entertaining story that helps early readers understand that a mom with fresh brain casserole on her mind probably isn’t their mommy anymore. What is the Future of Books? Posted in BlogTagged books, readingLeave a Comment on What is the Future of Books?